This week's release schedule is as varied as usual, taking in potentially fatal sports games to cerebral puzzlers, with two games apiece for WiiWare and DSiWare and the expected break from Virtual Console. Target Toss Pro: Lawn Darts (700pts, Incredible Technologies) – The follow-up to Target Toss Pro: Bags, this puts you in a virtual back garden and lets you live out your fantasies of throwing giant darts at a range of different targets, including cards and dartboards. There's support for 16 players and online leaderboards too. Our full review will dart online later this week. Astro Bugz: Revenge (700pts, Sudden Games) – Dubbed by developer Sudden Games as "an action-puzzle game with a retro vibe", the trailer makes the game look like a combination of Space Invaders and Bust-A-Move, a combination with the potential to be fatally addictive. We'll let you know in our review later this week. Zenonia (800pts, Gamevil USA Inc.) – A fully fledged RPG for DSiWare, this follows a hero named Regret who sets out to discover why his father was murdered by a demon. There's the promise of plenty of item customisation and refinement as well as a night and day system, and expect our full review later this week. FIZZ (200pts, DK Games) – A puzzle game for DSiWare that asks you to join up nodes of the same colour to create energy in your rings. DK has previously published Equilibrio and Fishie Fishie for WiiWare, so we'll see if it's mastered DSiWare in our review later this week. Press release. Much information it contains. You read, now. Sometimes big fun unfolds in unexpected places. For proof, try your hand at the latest downloadable games for Nintendo systems. ZENONIA® and FIZZ for the Nintendo DSiWare™ service invite you to experience rich RPG action or eye-popping puzzles in even the most ordinary locations, from the bus stop to the coffee shop. New for the WiiWare™ service, Target Toss Pro: Lawn Darts turns your living room into a virtual backyard where you can enjoy heated competition with up to 15 of your closest friends. In other words: It's not where you are, it's what you're playing. Description: Classic RPG action returns with ZENONIA. Get ready for the endless journey of Regret, who is on a mission to find the reason for the death of his father at the hands of a demon. He begins his quest by choosing one of three classes: Paladin, Warrior or Assassin. Players can equip and customize using hundreds of different types of weapons and armor. There are tons of items to refine or combine from five different item classes: normal, magic, rare, unique and epic. There are even more astonishing features such as full skill trees which you can level up, along with stunning visuals and sound effects. ZENONIA offers extensive playtime with numerous main and side quests, plus good and evil storylines to choose from. Anime-style graphics and innovative real-life systems such as a day/night cycle and hunger/weight system make ZENONIA a unique gaming experience for everybody. Description: Welcome to FIZZ, the explosive puzzle game. In FIZZ, you earn points by creating rings of energy. To do that, you must align identical colors and create links between the different nodes. The bigger your rings, the more points you earn. There will be outside events that get in your way, such as asteroids, meteorite showers and aliens who'll try to break your nodes. Magnetic storms and pulsars will change colors, and magnetic spheres will prevent you from using the nodes in the surrounding area. Exceedingly simple to understand but challenging to master, FIZZ is an inventive puzzle challenge that will have gamers on the edge of their seats. 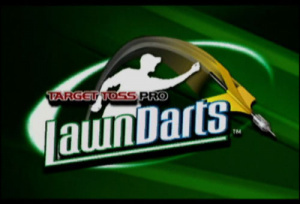 Description: Target Toss Pro: Lawn Darts is a new video game based on one of the nation's most infamous backyard games. There are four types of flying-dart action to choose from: Classic Lawn Darts, 501, Cricket and Poker Darts. Each game has a unique scoring method and strategy to keep players entertained for hours. Classic Lawn Darts involves throwing three darts at two circles with an escalating Red Dot Bonus bull's-eye in the center. 501 is similar to the classic pub darts game of the same name; throw three darts at a dartboard during eight rounds of play until all 501 points - and not one point more - are cleared. Cricket is another classic pub darts game of three tosses per round, challenging players to close out the bull's eye and the numbers 15 through 20 before their opponent. Poker Darts involves launching five darts at a deck of 52 playing cards while attempting to get the best poker hand and highest scores over three hands. Description: Astro Bugz Revenge is an action-puzzle game with a retro vibe. Protect our solar system from astro bugz and blast them by matching three or more bugz. Pick up valuable power-ups and activate them to annihilate the incoming invaders. Flip to the other side in Revenge mode and play as the bugz. Test your skills against your friends by playing in Co-Op or Versus mode. This action-packed game will surely keep you challenged. I may get Zenonia when I have an RPG itch. Doesn't seem too bad, Zenonia is good at least. I'm going to save everyone the Trouble of Freaking out. Awful, no good, "You sirs, have just FAILED!" Well....Zenonia sounds promising but Shantae comes first. Played Zenonia on the iphone...very weak...probably better on the DS since it has a real d-pad, but the game just is not a good rpg. Where is Night Game/Night Sky or whatever it's called? That's the only Wiiware I've been looking forward to and I've been looking for a long time now. ...well...that and ANIMALES DE LA MUERTA, but that I don't expect to ever see. Another lame week... where are all the great games they announced months ago? and what happened to Bonk? Descent? Why do I even bother to check? Another lame week, as usual! Might get Shantae and Zenonia next week. Zenonia for WiiWare. Make it happen, gamevil. Zenonia looks good. I still dont see what the buzz about Shantae is. Fail update once again, RIP VC. More garbage how nice. Can't believe I even check this garbage every week. Stop complaining, ungrateful Americans. At least you get new titles, all we ever get is old stuff or shovelware. To me this ain't a bad week, actually. Two interesting DSiWare game (Zenonia looks awesome), and the WiiWare doesn't sound half bad either. Sure, there's no VC, but look on the bright side. Remember, you don't have to wait long before Shantae. I agree with LuWiiGi, at least you got zenonia. Astro bugz revenge looks pretty good too. I for one is never ungratefull (I'm also modest ) even though we only got 2 titles for wii and DS (actually I heard of FIZZ last month and astro bugs was alredy announced ) they are new and in concideration of buying especially Zenonia. Zenonia looks interesting but I'll probably just wait and get it on the PSN so I can play it on the big screen. WiiWare sure is garbage this week. Thank God Shantae is finally coming next week to save us from the shovelware! Support FIZZ, that will help the small indy I'm am. I seem to recall having seen Zenonia on a top-ten list for iPhone games. Might be worth a look, but I'll wait for the review. @Sabrewing: Wait for next week, please. We got a VC game last week and had no reason (unfortunately) to expect it this week. We can all feel free to complain if it's not here next week either, though. Why all the hate? This actually looks like a pretty good update (for DSiWare, anyway). Zenonia seems like it could be one of the better titles for DSiWare and Fizz looks pretty good for a mere 200 points. DK games? Might we have an impersonator here? Still waitin' for La Mulana. @Lu - stop complaining about Americans, ungrateful Brit. You got Mystic Quest this week. Hahaha my heart belongs to Shantae! Although Zenonia does sound interesting.. Lawn Darts. That is all. Nintendo is obviously depriving us of any decent downloads this week in preparation of next week's triple-threat of BIT.TRIP FATE, Cave Story DSiWare, and Shantae. Right guys? @Odnetrin - I don't think Nintendo has that much of a f***** up sense of humor to do that. Anyway, both Zenonia and FIZZ sound interesting, and I may get them ... after Shantae and Cave Story, of course. Zenonia for sure. Already bought it and played it some. Well there goes my money. Back in my wallet. Nothing for me this week, but that's okay. Shantae: Risky's Revenge is coming out next week. I'm starting to sound like MasterGraveheart! Zenonia is great on the Droid with the exception to the controls being crazy at times. I will end up buying this soon, prob after I finish up Shantae. Zenonia... wait ive heard of that... dsi ware, this is a must buy now that i remember what this is!!! I almost got it back when i had an i pod. Wow. I was so zoned into Shantae, I forgot there was an update today. Lawn Darts? Now thats exciting. I tried out Zenonia for iTouch. No way its worth $8, it might play better but I still was not impressed gameplay-wise. Graphics and campaign-wise it was decent. Zenonia and FIZZ look pretty interesting. @LuWiiGi: You are my hero. Thank you for saying what I've been wanting to tell everybody who complains about every freaking update. Stop complaining, ungrateful Americans. At least you get new titles, all we ever get is old stuff or shovelware. Yeah, how dare the U.S. complain about getting four VC games in the last three months! What about us poor Brits who only got a paltry eight VC games in the last three months! Woe is us! US! Not them! Our WiiWare is the side of the filter covered in dust. Your WiiWare is the clean air that comes from that filter. But seriously, its no big deal for us to not get the same games America does. I went through the list of WiiWare games released in America of this year that we have yet to get and only Cave Story stands out as being a game I would download. The other games are just crap or don't appeal to me. Europe isn't really worse off that people claim it to be. We just get much less crap. Boring week, except for Zenonia, gonna get that as soon as possible. Hellblade, My Time at Portia and more Final Fantasy! Darksiders! Silence! Hob: The Definitive Edition! Phoenix Wright, Mechstermination Force and Safety First! Yoshi! Xenon Racer! Moai VI! Final Fantasy!